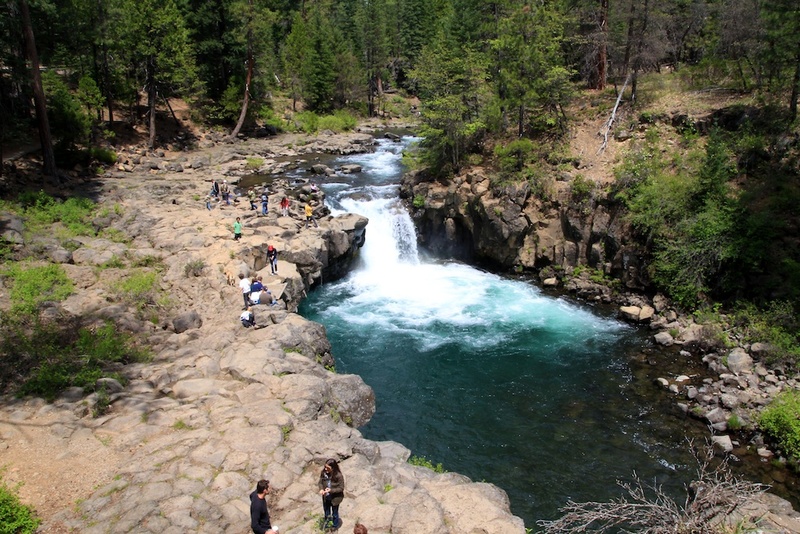 After visiting McAurther-Burney Falls, we decided to head up Highway 89 and see the McCloud Waterfalls before stopping at the Black Bear Diner for lunch in Mt Shasta. 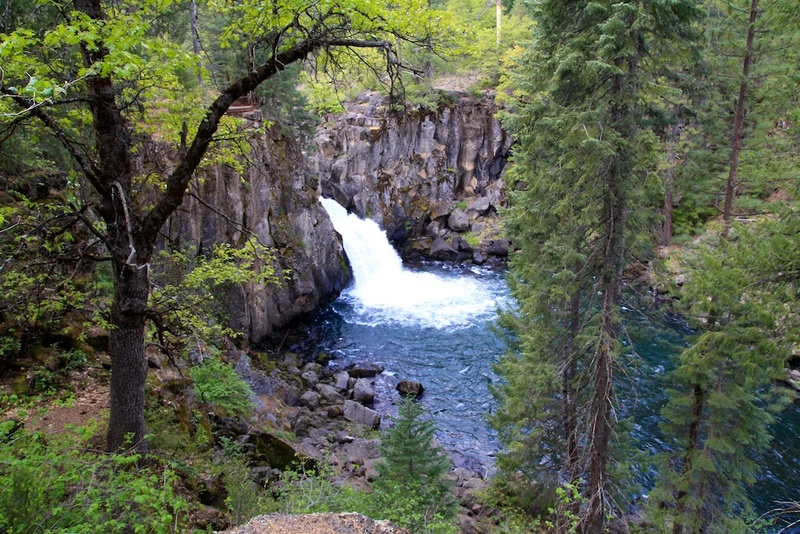 McCloud Falls was a waterfall that I had seen pictures of but had a hard time getting any real information online about it or how to get there. This waterfall pales in comparison to Burney Falls but would be an amazing waterfall in Southern California, so we were excited to check it out. The main draw of the falls is that it has three tiers, each accessible via driving or via walking one long path, we opted for the first option. The falls were easy to get to once you knew where you were going, but there were almost no signs for them, so you have to pay attention so that you do not miss the turn-off. 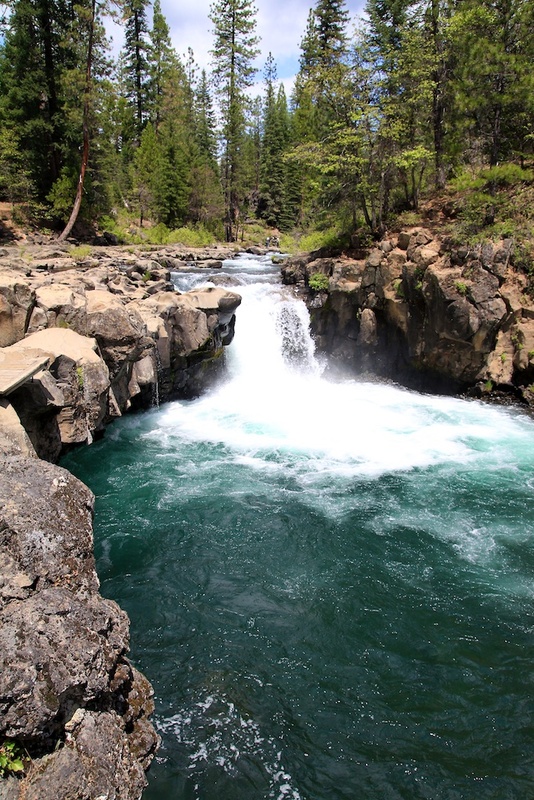 Off of Highway 89, coming from Burney Falls, you will take the 89 North and then make a left at the turn off for a campground called Fowlers. 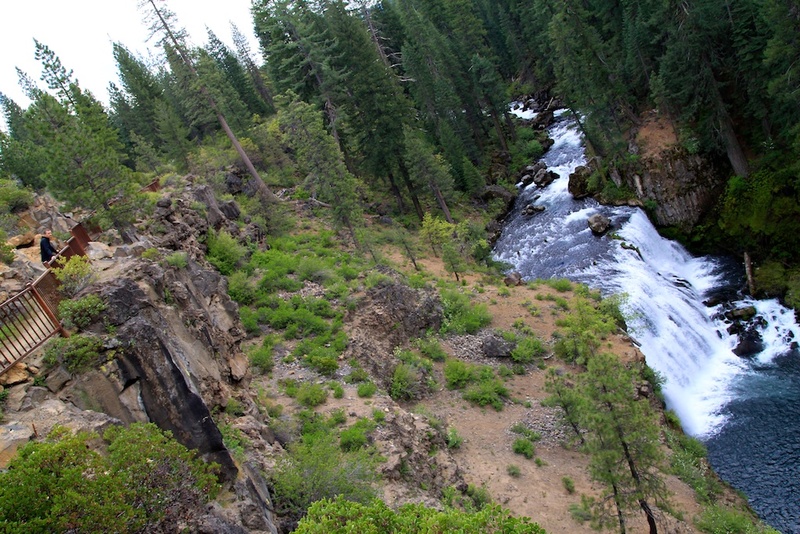 From there you will proceed about 5 miles until you reach the marked turn for upper falls. This is the first of the three tiers, and the other two are down the same road, which will dump you back on Highway 89 when you are done. Upper McCloud Falls was the first part of the waterfall we arrived at. 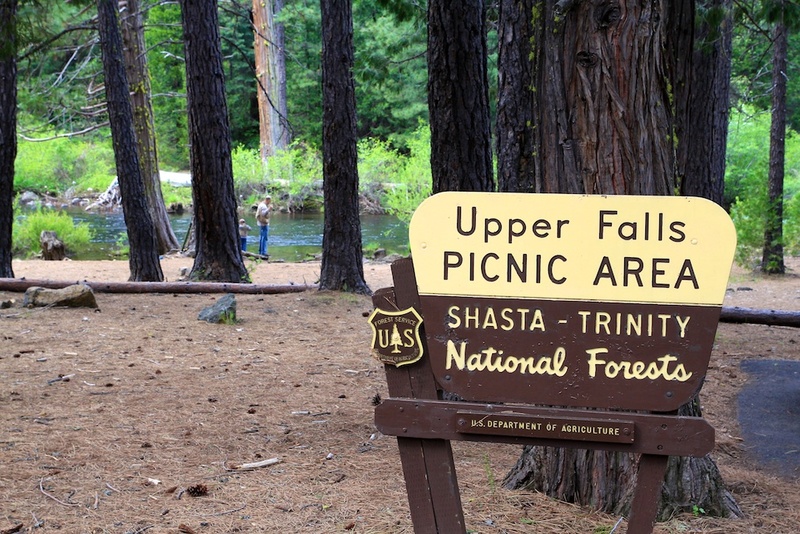 After parking and a 5-minute walk along the McCloud River, you will get to the viewing area. 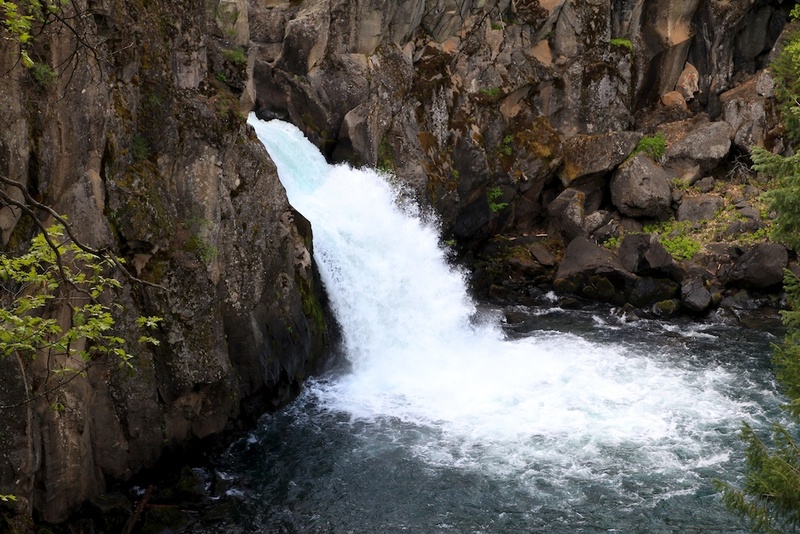 The water that makes up Upper Falls travels down a small rock canyon and condenses, thus making the falls seem a lot stronger than the others. The water simply pours out of here with power and drops about 25 feet. It was a beautiful waterfall to see, especially with the large rock face on the other side of the river; however, you cannot get very close to the falls from the viewing area or the trail. 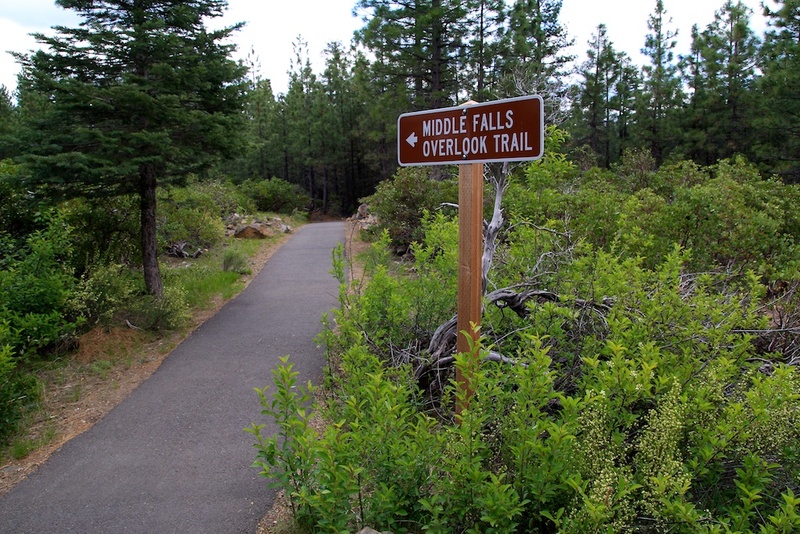 After taking it in you can head back to the car or continue on the trail down to Middle Falls. The middle part of this waterfall is located in a parking lot about 5 minutes from the Upper Falls. 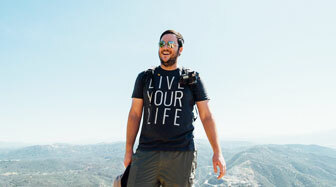 After an even shorter walk, you will be at the overlook for this waterfall. You are about 150 yards above the falls, but they are pretty impressive and a lot wider than Upper Falls. You can also walk down from here to the base of the falls but we did not do that, we just took it in from the overlook. 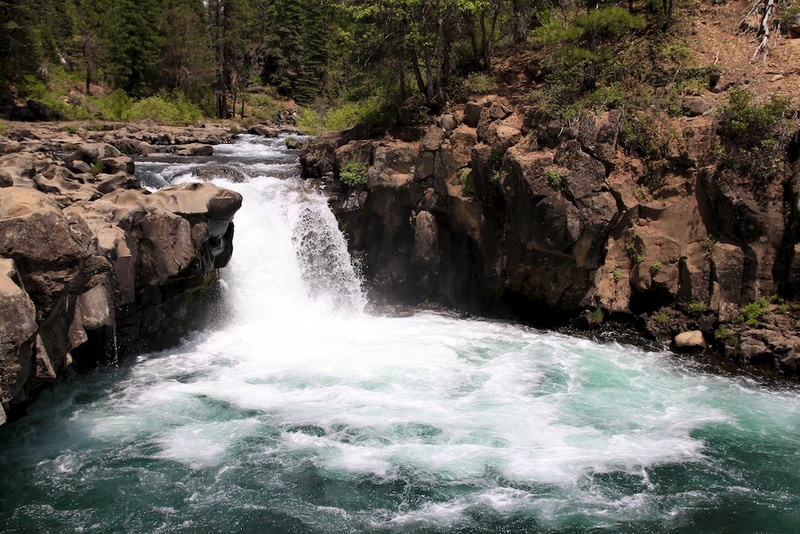 It was nice to be able to get such a good view of the falls, and I liked seeing where the water came from and where it was going as it traveled the McCloud River. This is the area that lots of other people were at. The parking lot was even full here, while the other two lots had maybe three cars in them each. This was the least impressive of the three falls to me, but it was the one you could get closest to and I heard you can even swim in it during summertime, making it a great spot to hang out and relax. There is also a bunch of picnic benches here so you can enjoy a nice lunch with the family while taking in a beautiful waterfall. I would have loved for it to be warmer so I could have jumped off the rock into the falls but it was still a great place to hang out at. 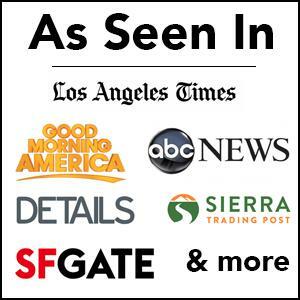 Here is a short video I made on my second visit. 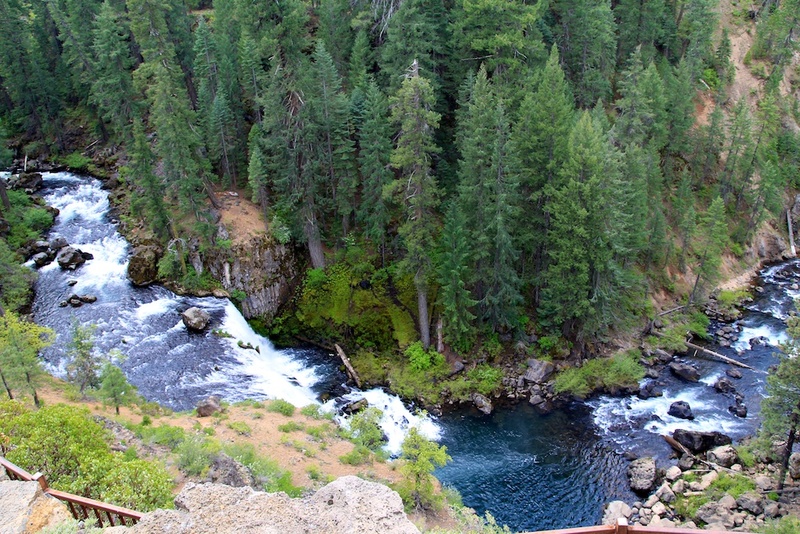 McCloud Falls are a great stop on Highway 89. 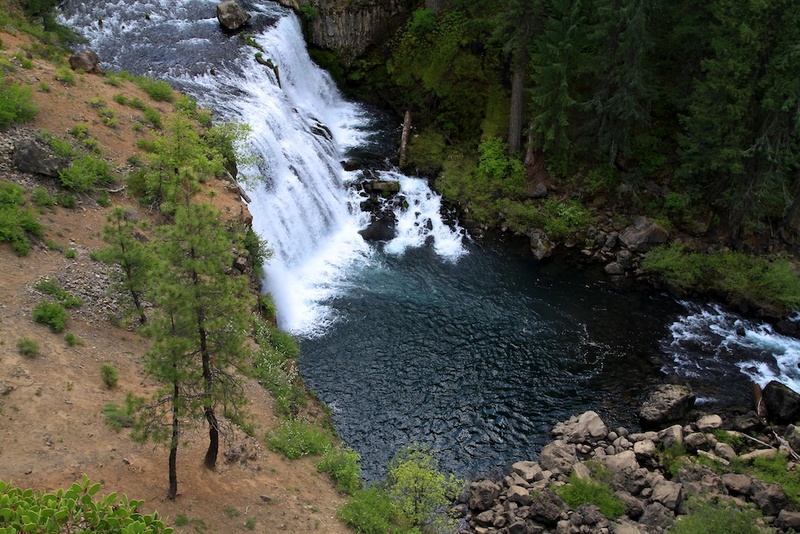 The falls don’t have the staggering beauty that Burney Falls does, but being able to see three different pieces of a waterfall without even hiking is not something you can often do. Also, all of the parking was free, and there was no entrance fee to get into the area, making it a perfect place to spend an afternoon. Let me know what you think in the comments below.